one happy little crafter: Good Morning all! Hello there, and thank you so much for stopping by, this is the first of two posts today - get me, lol! Aww this is so so cute!! Love the sift colours and gorgeous ribbon!! This is such a pretty card Lisa! Love the soft colours you have used. I love what you have created here. Thanks so much for joining us at All Dressed Up and good luck! 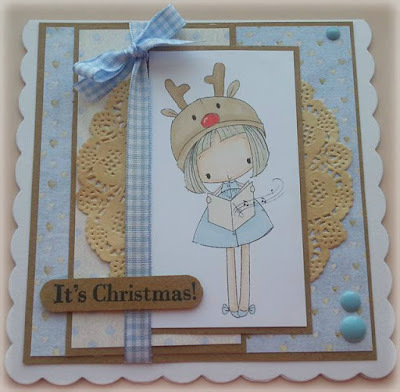 Beautiful card, lovely soft colours. 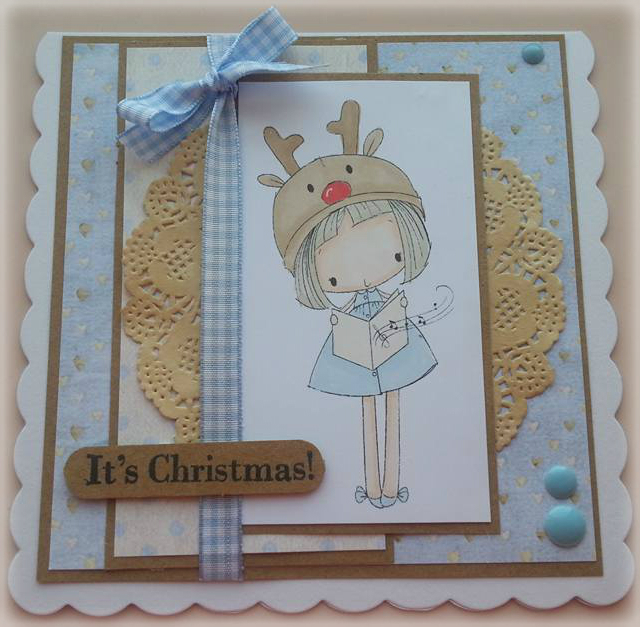 Thanks so much for joining in Crafty Ribbons Christmas Carols challenge!